Comecer will attend the SNMMI 2019 Mid-Winter Meeting at the Renaissance Hotel Palm Springs in Palm Springs, California, from 17th to 19th of January. 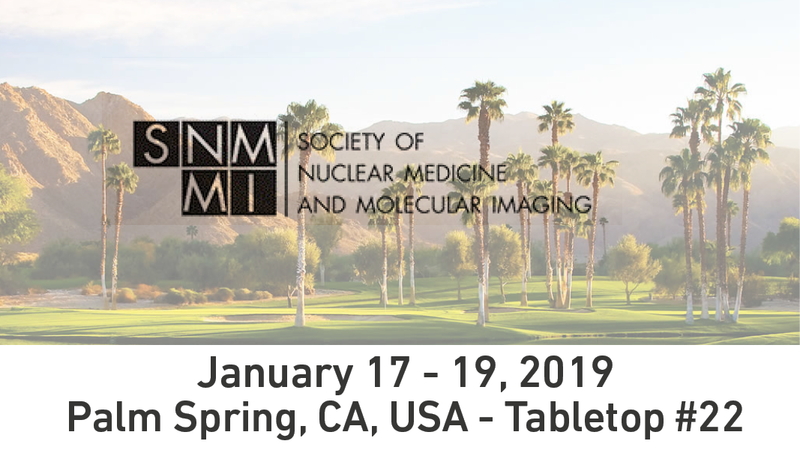 The 2019 NMMI Mid-Winter and ACNM Annual Meeting provides an in-depth review of advances in hybrid imaging, SPECT and Amyloid PET, role of PET/MRI in molecular imaging, targeted radionuclide cancer therapy, translational cardiovascular imaging, quantitative PET imaging in clinical research and emerging technologies. Dose calibrators, also known as Radioisotope Calibrators, Radionuclide Calibrator, Curie Meter, Activity meter. BH series, designed to work specifically with radioisotopes. ALCEO Solid Target Processing System, The ALCEO system is designed for the application of commercial cyclotrons with energy ranging between 5 and 30 Mev. ARGO Dispensing System, is a new and automatic closed vial dispensing system able to fill a vial through rubber stopper piercing. In nuclear medicine, decontamination and sterilisation of isolators is an important aspect in the daily practice of those who work in this field, and a requirement which today is particularly challenging and difficult. The use of VPHP allows effective and safe decontamination. Also, our Speedy Glove is a battery-powered glove tester that performs leak testing on gloves installed on isolators or RABS where a strict separation between the isolated area and the external environment is required. The system performs pressure decay integrity tests that comply with the requirements of ISO 14644-7 Annex E.5. You will find Luca Neri, our Area Sales Manager, at tabletop #22 and he will be there to answer your questions and share the details of our references.